Mark your calendars ladies, we are hosting a soiree next Wednesday! 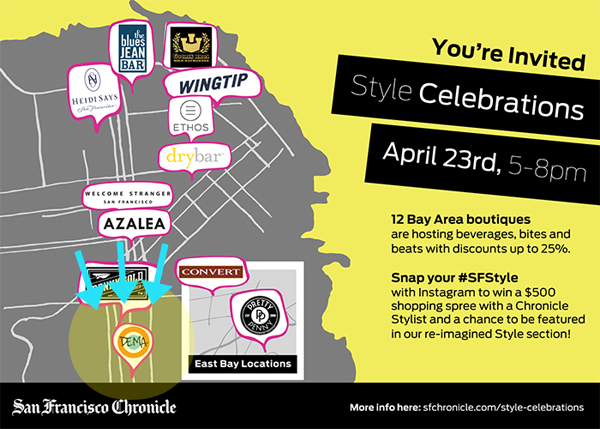 In collaboration with the San Francisco Chronicle - we'll have champagne tickling your nose, Mark Capelle tickling the ivories, and a 25% discount tickling your shopping sensations. You won't want to miss out on this fun-filled night!